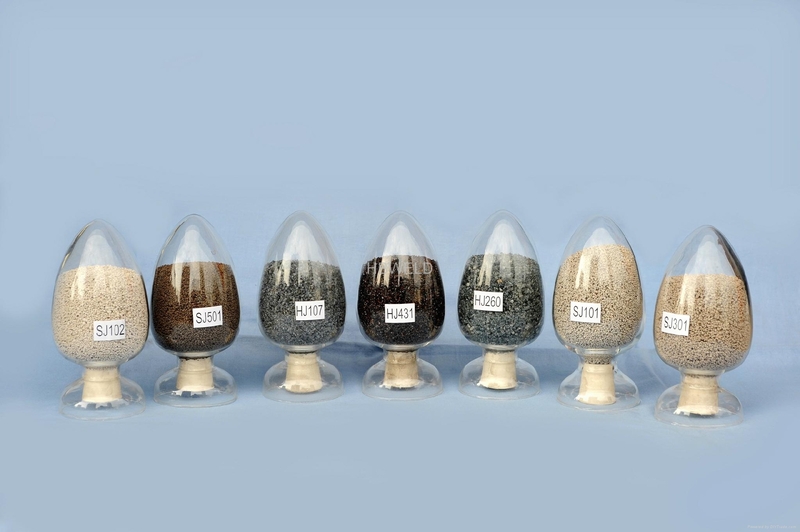 Description: agglomerate fluoride-basic type flux,which grain size is from 2.0-0.45mm,(mesh 10-40mesh) it can produce more weld metal on account of its slight bulk density and decrease the consumption of flux. The flux can be used on either DC or AC up to 1200A,the content of Mn and Si in the weld metal can’t pick up too much,because it is neutral flux,owing to its metallurgical behaviors.it provides stable arc,easy removal slag,good appearance and mechanical properties. The flux can be used on welding of thick plate steel constructions under high current as well as narrow gap welding to the girth welds,if combined with proper wires,it is well suited to the welding of low alloy steels and fine grained steels,pressure vessels,ship buildings etc.